Down below the surface of a quiet pond lived a little colony of water bugs. They were a happy colony, living far away from the sun. For many months they were very busy, scurrying over the soft mud on the bottom of the pond. They did notice that every once in a while one of their colony seemed to lose interest in going about. Clinging to the stem of a pond lily it gradually moved out of sight and was seen no more. "Look!" said one of the water bugs to another. "One of our colony is climbing up the lily stalk. Where do you think she is going?" Up, up, up it slowly went. Even as they watched, the water bug disappeared from sight. Its friends waited and waited but it didn't return. "That's funny!" said one water bug to another. "Wasn't she happy here?" asked a second. "Where do you suppose she went?" wondered a third. No one had an answer. They were greatly puzzled. 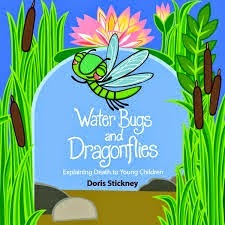 Finally one of the water bugs, a leader in the colony, gathered its friends together. "I have an idea. The next one of us who climbs up the lily stalk must promise to come back and tell us where he or she went and why." "We promise", they said solemnly. When he awoke, he looked about with surprise. He couldn't believe what he saw. A startling change had come to his old body. His movement revealed four silver wings and a long tail. Even as he struggled, he felt an impulse to move his wings. The warmth of the sun soon dried the moisture from the new body. He moved his wings again and suddenly found himself up above the water. He had become a dragonfly!! Swooping and dipping in great curves, he flew through the air. He felt exhilarated in the new atmosphere. 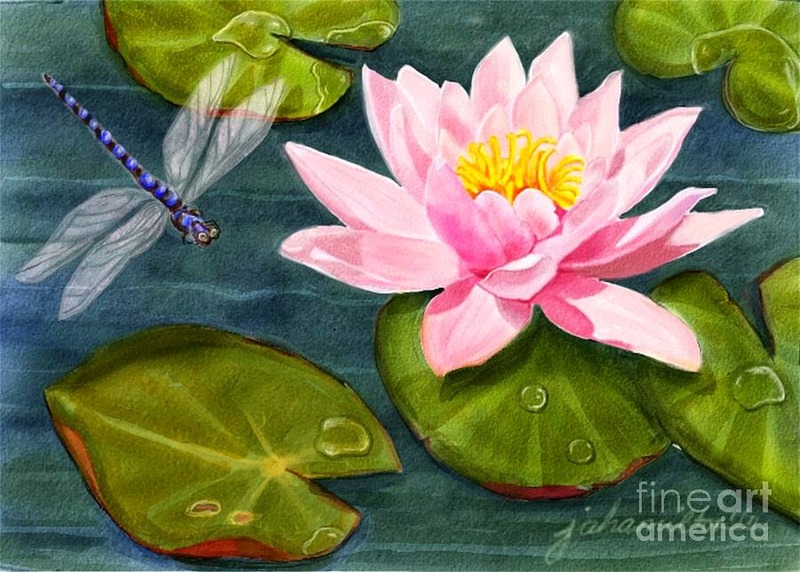 By and by the new dragonfly lighted happily on a lily pad to rest. Then it was that he chanced to look below to the bottom of the pond. Why, he was right above his old friends, the water bugs! There they were scurrying around, just as he had been doing some time before. 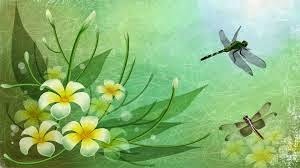 The dragonfly remembered the promise: "The next one of us who climbs up the lily stalk will come back and tell where he or she went and why." Without thinking, the dragonfly darted down. Suddenly he hit the surface of the water and bounced away. Now that he was a dragonfly, he could no longer go into the water. "I can't return!" he said in dismay. "At least, I tried. But I can't keep my promise. Even if I could go back, not one of the water bugs would know me in my new body. I guess I'll just have to wait until they become dragonflies too. Then they'll understand what has happened to me, and where I went." I will be reading this at Pops' funeral and thought I would share it here for anyone who hasn't read it and wants a way of explaining death and the afterlife to either children or adults.